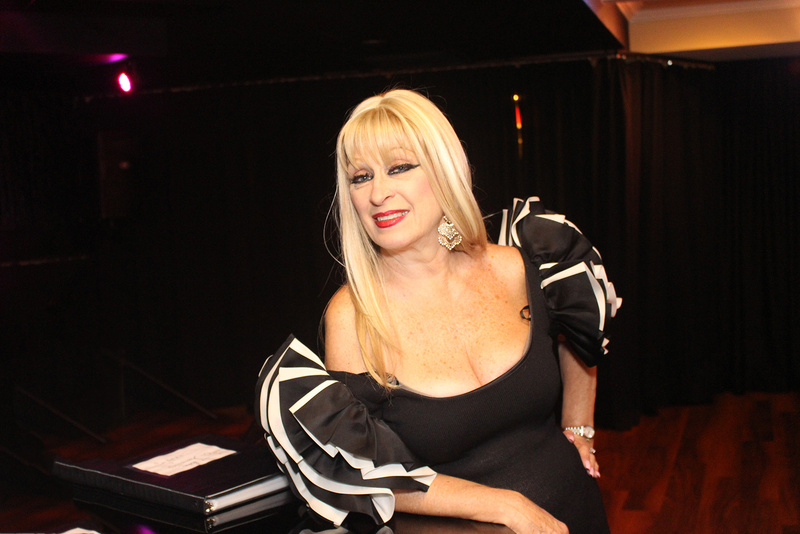 With the release of her new lush CD, titled “THIS IS MY LIFE” , opera great turned jazz great, Rose Kingsley finds a fresh new niche as she sings her favorite pop standards. NEW YORK – Aug. 24, 2016 – PRLog — After her debut at Birdland Jazz Club NYC, Rose has been dubbed by New York music critics as the “FEMALE SINATRA”. With her 4 octave range, Rose has the ability to weave the lyrics a song and make them come alive. With her lush, rich, sultry sound, she sings straight to the heart. Rose is one of the few artists who has transitioned from the International Opera Stage to now performing vocals from the Great American Songbook. Rose travels with her legendary Jazz Trio. Her Trio has traveled the globe and played for an impressive list of renown artists including Peggy Lee, Carmen McCrae, Johnny Mercer, Buddy Greco, Julie Andrews, Liberace, and Trini Lopez. Rose’s latest show, Through the Years with Johnny Mercer, truly takes you on a journey. With each Mercer song, in chronological order, goes a story; many of them have never been heard before. Additionally, Rose Kingsley’s musical director, Bob Corwin, is the son-in-law, pianist, and collaborator of the great Johnny Mercer. Each song has been specifically arranged by him for Rose, along with some family antidotes! This show has the blessing of the Mercer family to present the show Through The Years With Johnny Mercer in order to preserve the legacy of this music legend! Jonanthan Widran, columnist from Jazziz and Music Connection says, “Rose has made an incredible transition from opera to jazz/blues by employing the raw power of her lower register of her voice. Beyond the resonance of her voice and her always engaging, infectious smiles that literally let us hear the joy she is feeling”. Before setting her sites on jazz and the standards of the Great American Songbook, Rose was (and is) one of the world’s foremost leading Dramatic Sopranos. Rose Kingsley began her career, not only with singing, but with ballet, performing with The American Ballet Theatre and The Royal Ballet of London, becoming a member of the prestigious Royal Academy of Dancing, London, England. Although she first appeared on the Operatic Stage as a dancer with The Metropolitan Opera, her love of singing led her to focus her talents on Opera and was brought to the attention of Lawrence Stayer, then Artistic Director of The Metropolitan Opera. She has performed at Carnegie Hall, Steinway Hall, Alice Tully Hall — Lincoln Center, President Bill Clinton, President George H Bush, President Gerald Ford, and HRH Prince Charles.